Start by talking out on the various walkways and look into the marsh. The left most of these walkways goes out to the levy which forms walk 1. You go to the left and walk along the levy. You wil lsee what looks like the bay but may be more of an large old evaporation pond. There you can see turns, ducks, geese, and other shore birds. 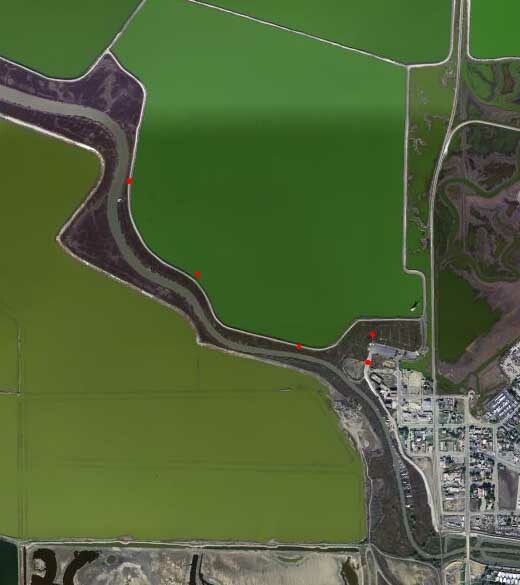 On the left, you have a marsh area with smaller birds. Overhead are hawks, egrets, buzzards, and such. On a recient trip, we saw white and gold crown sparrows, harrier hawks, great egrets, a buzzard, ducks, turns, canadian geese, turns, and probably others I don't remember.